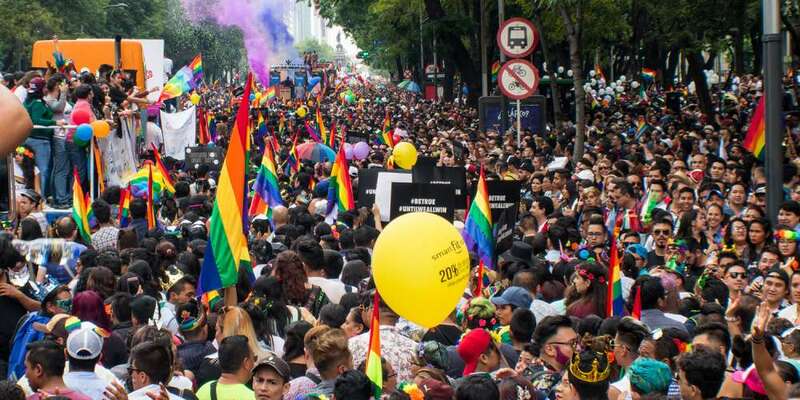 Saturday, June 23, was the day of the 40th annual edition of the Mexico City Pride March. This year’s slogan was #NoRenunciaremos (or, “We won’t quit”) which proved true, as more than 250,000 people turned out. That’s an impressive number, though for those who were there, it seemed closer to 800,000 people. 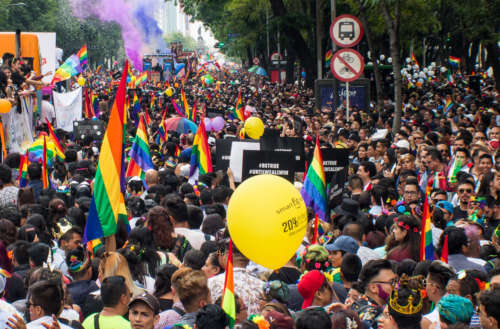 This year’s Mexico City Pride March was particularly celebratory. Coincidentally, the same day as the Mexico City Pride March, Mexico’s World Cup team beat South Korea. Thanks to some quick reorganization from government officials, Mexico City Pride relocated to the Glorieta de la Palma, to avoid the Glorieta del Ángel de la Independencia from getting overcrowded as soccer fans celebrated their team’s victory. While there weren’t any incidents in either celebration, we’re sad to report that the soccer fans didn’t fail to make homophobic chants. Mexican World Cup fans have also come under fire for homophobic chanting at the games; though according to FIFA, the World Cup’s governing body, referees are supposed to stop the match and make a public announcement if they hear anti-gay chanting. Unfortunately, this hasn’t been the case in practice. But that negativity didn’t impact the Pride March. And, in fact, there were many images posted to social media of the two groups coming together. The picture (above) of two men waving a Mexican flag and a Pride flag was reflected the true spirit of the celebration — regardless of the chanting. The 40th annual Mexico City Pride March ended with a concert in the Zócalo. The performers included Wapayasos, Atl and Angelo Diep, Manelyk and Lis Vega with Fey headlining. Did you go to the 40th Annual Mexico City Pride March?